This evening we will be going to a Bullfight. I have never been to one before and I have this romantic idea of what it is going to be like. Man against animal, in a ritual of equal respect and power. 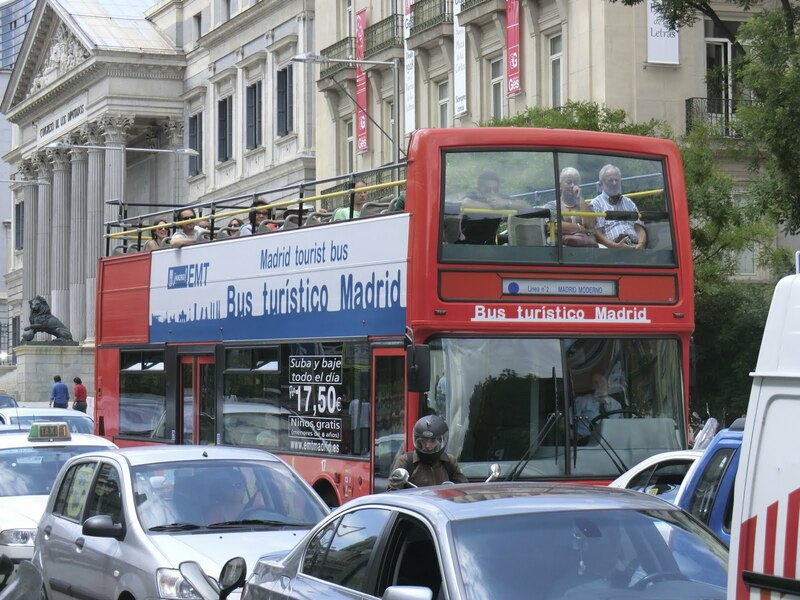 Before we attend the Bullfight, My friend and I will take a bus tour of the City, I want to make sure that I see as much of the city as possible, considering our limited amount of time, this will be the best way to do so. 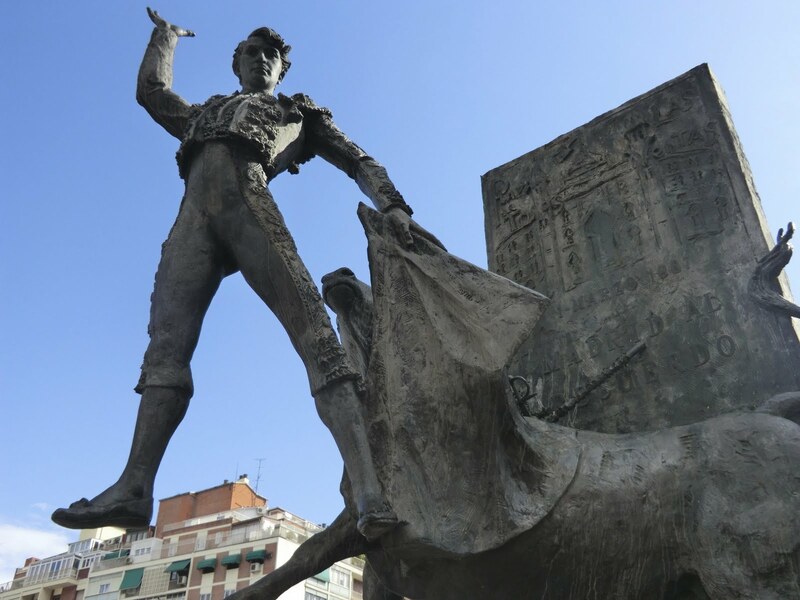 We boarded the bus near our hotel and made our way through the city, of course we have an ulterior motive for doing this, as it turns out the bus will go right pass the ticket office where we need to pick up our Bullfighting tickets. Two birds with one stone I say. The ticket office was the 4th stop on the bus, it was perfect, off the bus and there is the office. Well, except somehow we got lost from the time we exited the bus. Now, understand the ticket office is literally right off the bus, 30 feet in front of us. But we missed it, and started walking down a street that I was convinced was correct, well once again I was wrong. No worries, the story ends on a positive note, we asked a cop for directions, then laughed about it when we realized we are idiots. Tickets in hand, it is time to resume our tour of this beautiful, lively city. I am somewhat disappointed in this bus tour. It seems to be about half a block behind. If you have never been on one of these busses, you board, pay and are handed headphones and at each seat both in the bottom of the bus and the top, open air portion, there is a place to plug in your headphones and various stations in different languages. It is all very easy and nice to use. However while they are driving past a point of interest, they start telling you about it, instead of maybe telling you half a block before you get there. Never the less, it is a good way to see a big city like this. It also helps you to get your bearings in case you don’t know where you want to go. It can actually be a lot of fun, and quite educational as well. The real benefit of this type of tour is that you can hop on and off the bus at any of the stops and shop or sightsee, then just hop back on the next one that comes by, usually every 15-20 minutes, so it is a great way to get around the city, see the historical sights, and still have the ability to go and experience a location if you wish. We continue on our tour, hopping off and on; off and on. 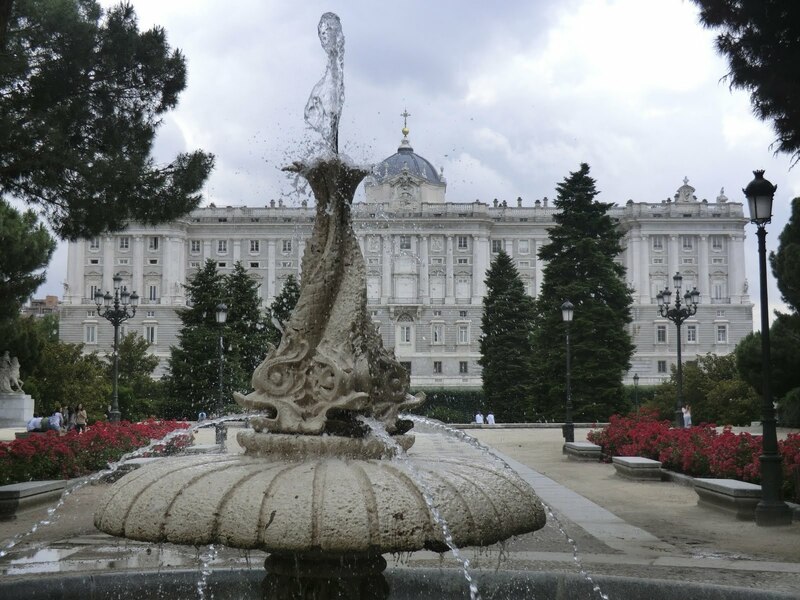 At one point we ended up at the Palacio Real De Madrid again (we toured it the other day) to spend some time walking through the Gardens which are designed and grown in the Old English style. Pools, Flowing Water, Cypress Trees and hedges all shaped and grown into Mazes etc. it is a truly peaceful and beautiful place. All visible from the Palace. Our earlier tour of the Palace was great, and so much to see but difficult to get the full breath of the Palace, it is monstrous. The palace is on the site of a 9th-century fortress, called mayrit, constructed as an outpost by Muhammad I of Cordoba and inherited after 1036 by the independent Moorish Taifa of Toledo. After Madrid fell to Alfonso VI of Castile in 1085, the edifice was only rarely used by the kings of Castile. In 1329, King Alfonso XI of Castile convoked the cortes of Madrid for the first time. 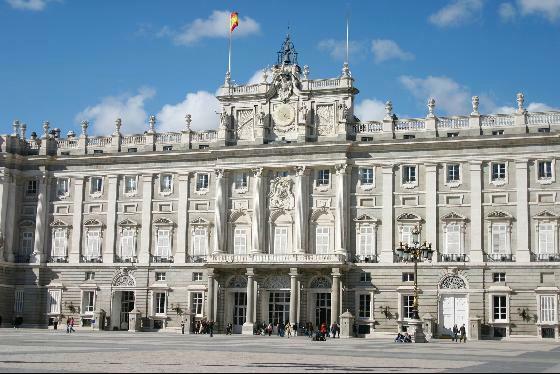 Philip II moved his court to Madrid in 1561. The old Alcazar (“Castle”) was built on the location in the 16th century. It burned down on December 24, 1734; King Philip V ordered a new palace built on the same location. 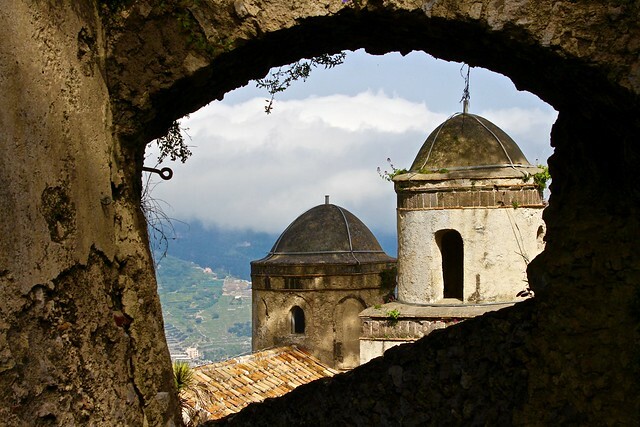 Construction spanned the years 1738 to 1755 and followed a Berniniesque design by Filippo Juvarra and Giovanni Battista Tiepolo in cooperation with Ventura Rodriguez, Francesco Sabatini and Martin Sarmiento. The new palace was occupied by Charles III in 1764. The last monarch who lived continuously in the palace was Alfonso XIII, although Manuel Azana, president of the Second Republic, also inhabited it, making him the last head of state to do so. 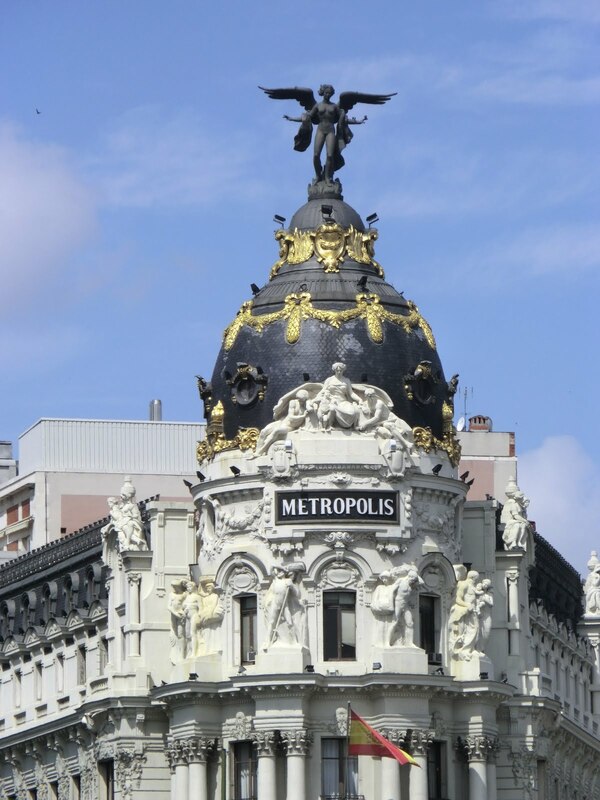 During that period the palace was known as “Palacio Nacional”. There is still a room next to the Real Capilla, which is known by the name “Office of Azaña”. 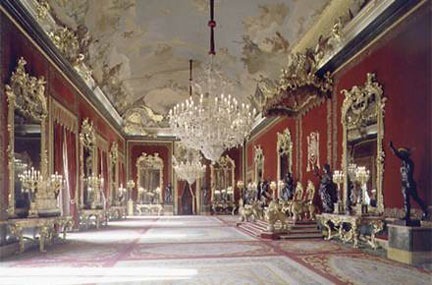 The interior of the palace is notable for its wealth of art, in regards to the use of all kinds of fine materials in its construction and the decoration of its rooms with artwork of all kinds, including paintings by artists such as Caravaggio, Velazquez and Francisco De Goya and frescoes by Corrado Giaquinto, Giovanni Battista Tiepolo and Anton Raphael Mengs. Other collections of great historical and artistic importance that are preserved in the building are the Royal Armoury, Porcelain, Watches, Furniture and Silverware. 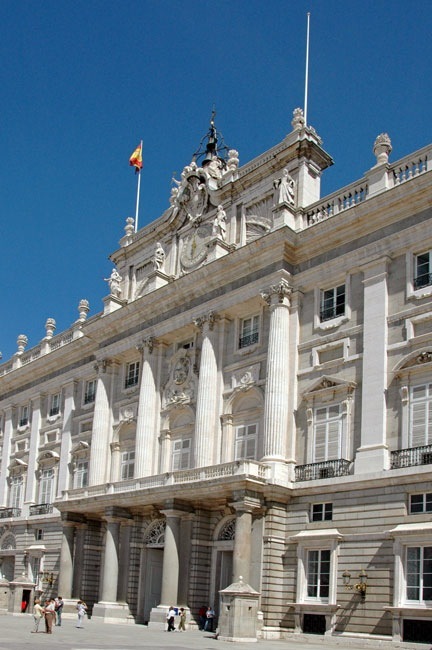 Currently, the Patrimonio Nacional, an autonomous body under the Ministry of the Presidency, manages the care of public property in the service of the Crown, including the Royal Palace. 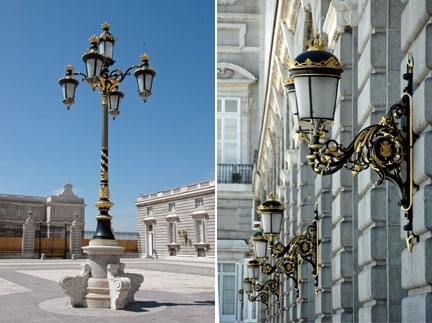 Palacio Real De Madrid took 26 years to build and consists of 2,800 rooms all unique and all handcrafted from the inlaid porcelain floors to the parquet floors. 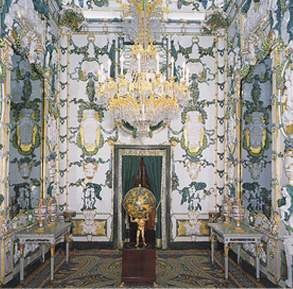 In one room alone the whole room is porcelain, I mean walls, floors, ceilings, it is unbelievable. Of course while my friend and I were scrimping by on crumbs to save money this day, our better halves were out on a shopping spree. But that is ok, they would not have appreciated the tour as much as us. Eventually we meet up for a little afternoon bottle of wine and nosh, then off to the Bullfight.